This year, forest cover aims to reach 41.85 percent nationwide with growth rate of forest product value from 5.5 percent to 6 percent and export value of forest products hitting US$10.5 billion. The Central and Central Highlands of Vietnam has a high proportion of forests, of which, the Central Highlands accounts for 2.5 million hectares of forest. Last year, forestry industry achieved many achievements recognized and highly appreciated by international partners. 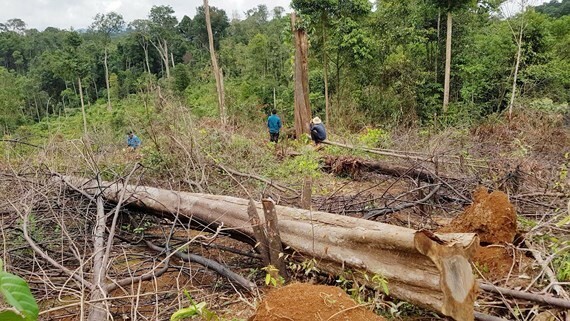 The current forest cover is estimated at 41.65 percent, up 0.2 percent compared to that in 2017. On March 29, the State Steering Committee conference on the Target Program on Sustainable Forest Development for 2016-2020 chaired by Deputy Prime Minister Trinh Dinh Dung was held in Quy Nhon City in the coastal central province of Binh Dinh. 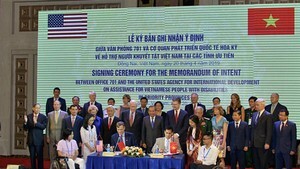 The conference was attended by leaders of central ministries, departments and 12 provinces in the Coastal Central and Central Highlands regions of Vietnam. The Deputy PM noted that besides achievements there are still several difficulties and challenges. Of which, the most urgent issues were deforestation, transportation and storage of illegal forest products and violence against forest rangers. Cooperation between central and local authorities sometimes was not close enough. Policies to promote forest protection were still limited, especially financial aid for people in the forest areas remained inadequate. Deputy PM ordered ministries, departments and local authorities to promote application of information technology and remote sensing in forest protection, wildfire prevention and forest change monitoring. The State Budget needs to give priority to cultivation of new forests and reforestation. This year is the third year the country implements the Decision No.886/QD-TTg of the Prime Minister approving the Target Program on Sustainable Forest Development for 2016-2020.